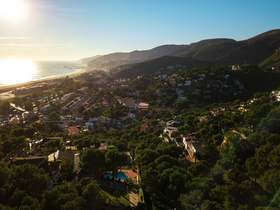 Located 20 kilometres southwest of Barcelona, Castelldefels is an idyllic beach town boasting golden Mediterranean beaches and impressive mountains that surround the bay, ideal for a relaxed and scenic way of life. 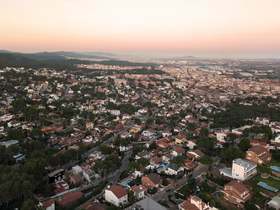 Close to the international airport and just a 20 minute drive from the centre of Barcelona via direct motorway with easy train access, Castelldefels is also a popular commuting town. 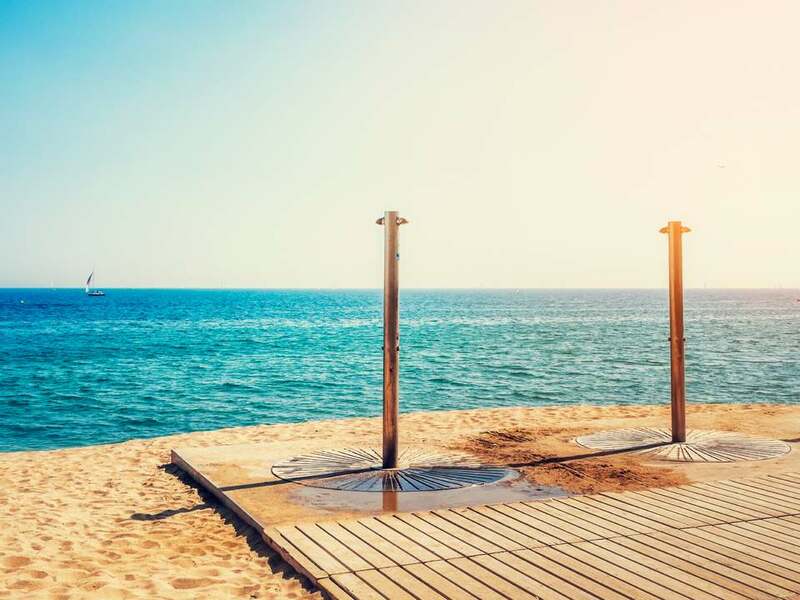 With its enviable climate offering approximately 300 days of sunshine per year, and waters warm enough to swim in almost all year round, it's easy to see why so many people have made Castelldefels their second home or chosen to invest in property. 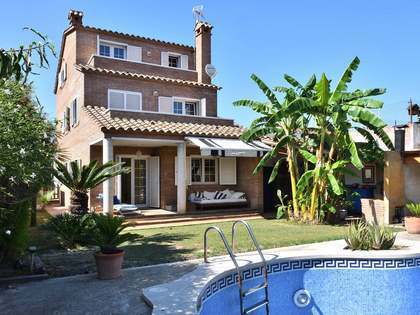 Lucas Fox offers a range of luxury houses in Castelldefels for sale and rent. Castelldefels is one of the best areas to live in the Barcelona province for its high quality of life. In addition to wide beaches and mountainous regions, nature lovers will find a haven in Garraf Natural Park, perfect for hiking, cycling and taking walks. In the city centre you will find shops, cafes, restaurants and tapas bars aligning the pedestrian-only streets where you can sit and watch the world go by without the hassle and bustle of traffic and urban pollution. In addition to relaxation, Castelldefels offers plenty of cultural activities as well as water sports during the summer months. Our houses for sale in Castelldefels range from apartments in the city centre overlooking the streets, to luxury villas in safe and tranquil neighbourhoods such as Bellamar and Montemar - home to football celebrities such as Lionel Messi and Luis Suarez - where you can enjoy stunning views of the Mediterranean Sea and surrounding mountains. All of our properties offer easy access to shops, restaurants, beaches and the highly regarded international school in Castelldefels. Our recently refurbished or newly built properties in Castelldefels boast beautiful contemporary designs brought to life using high quality materials with luxury finishes, and are presented in impeccable condition. Large windows ensure that natural light flows in, even during the few cloudy days of the year. Homes are adapted to different needs, with a varying number of floors, bedrooms, bathrooms and terraces. Your seaside dream can become a reality by moving into one of our modern family villas in Castelldefels where you will find any imaginable luxury, from spacious private gardens with barbeques, outdoor dining areas and walk-in wardrobes to separate guest apartments and rooftop terraces with panoramic views of the sea, harbour and Garraf Natural Park. Most of our properties include a luxury swimming pool, storage room and garage, some which will accommodate more than one vehicle. 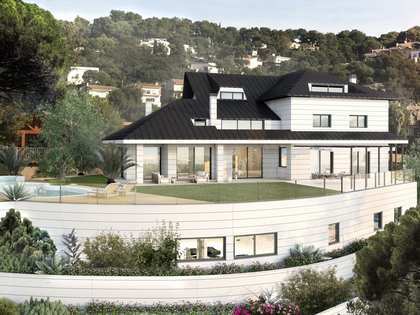 Just minutes away from the beaches or mountains and close to amenities, Lucas Fox offers fully-equipped and ready-to-move-in homes that are among some of the most sought-after luxury villas and flats for sale or rent in Castelldefels. 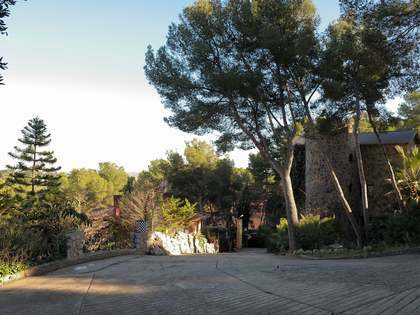 Don't miss this unique opportunity to live in one of the most exclusive areas of the Catalan coast, just a short drive away from the diverse and colourful city of Barcelona. 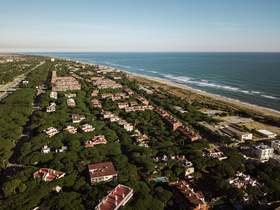 View other featured locations within Castelldefels. Lucas Fox offers an extensive portfolio of Castelldefels real estate covering the key locations of interest.